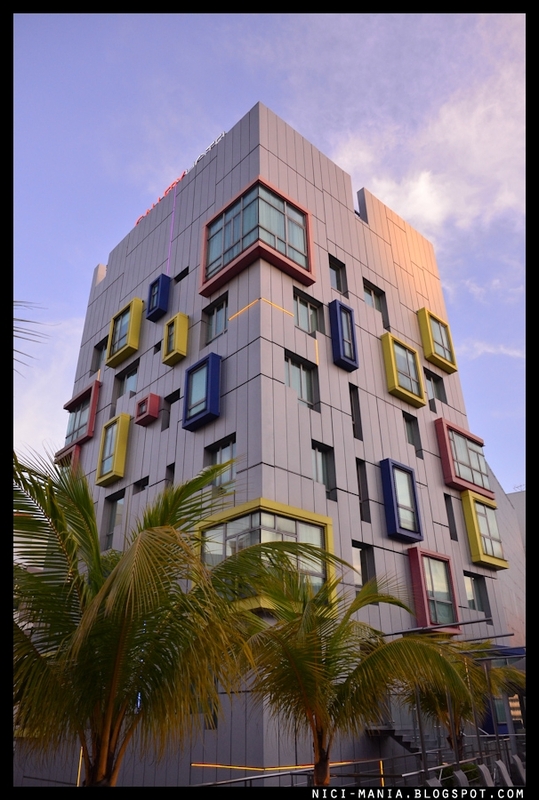 Gallery Hotel always captivates our attention with its avant garde building design. 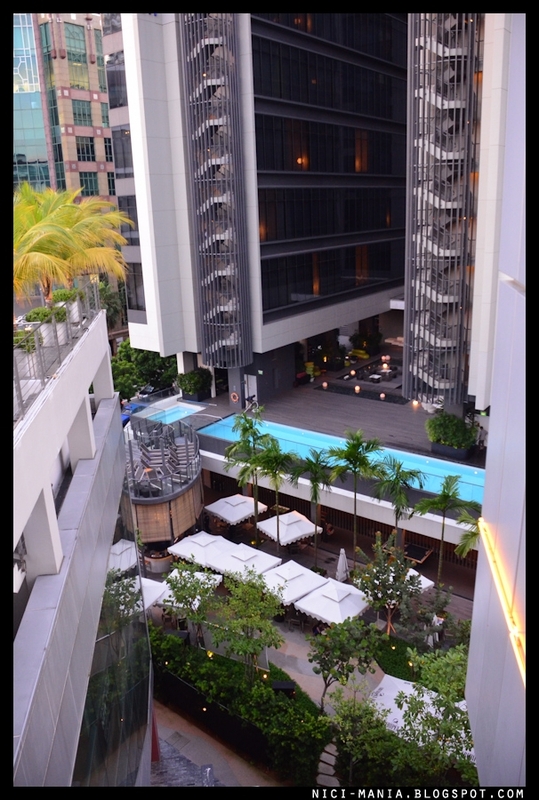 There are hoardes of hotels in Singapore, what makes Gallery Hotel so unique. Hugo Wolf and Jolly Rosa finds out! 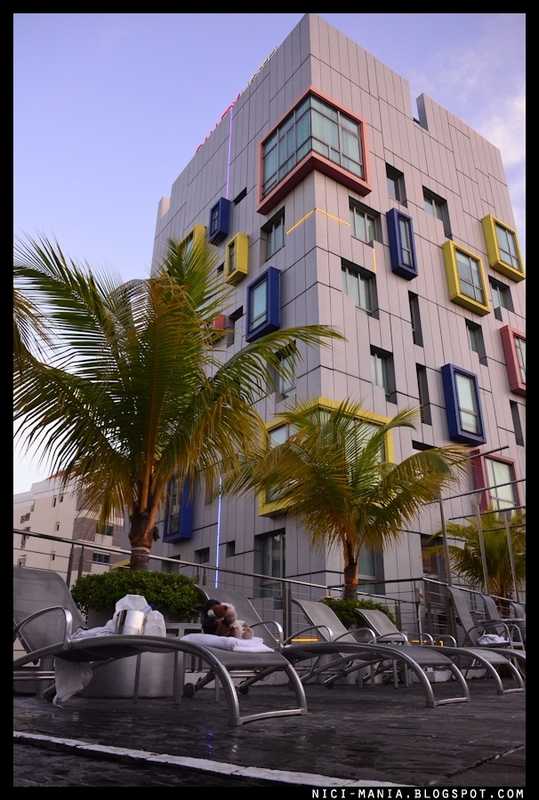 At first glance inside the room of Gallery Hotel, it follows the colorful theme of the hotel as with the exterior design. The hotel room although not big, but spacious enough. 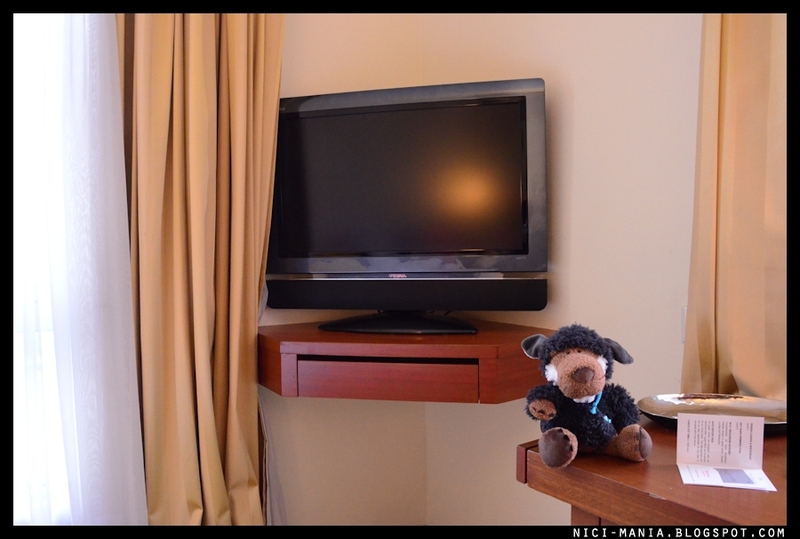 The LCD tv in the hotel room is a small 32 inch. 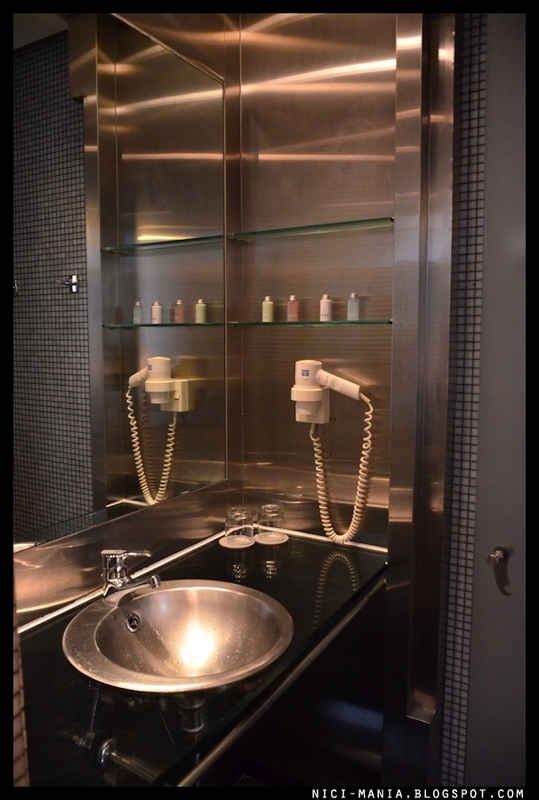 The bathroom's design is sleek and follows the avant garde Gallery Hotel style. They managed to squeeze a bathtub in the pretty restricted space in the bathroom. 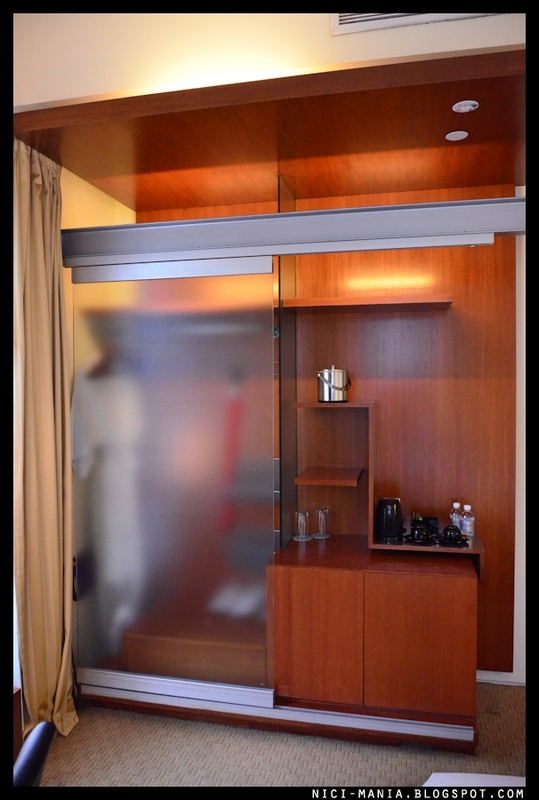 Forgot to mention, this is the Gallery Hotel glazzhaus room. Hence the bathtub. 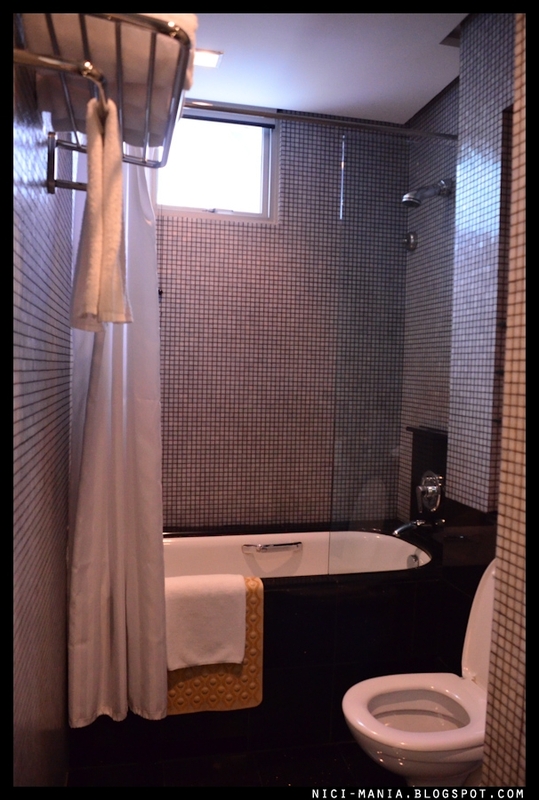 The glazzhaus room with bathtub is slightly expensive compared to the normal deluxe room rates that is below $200. 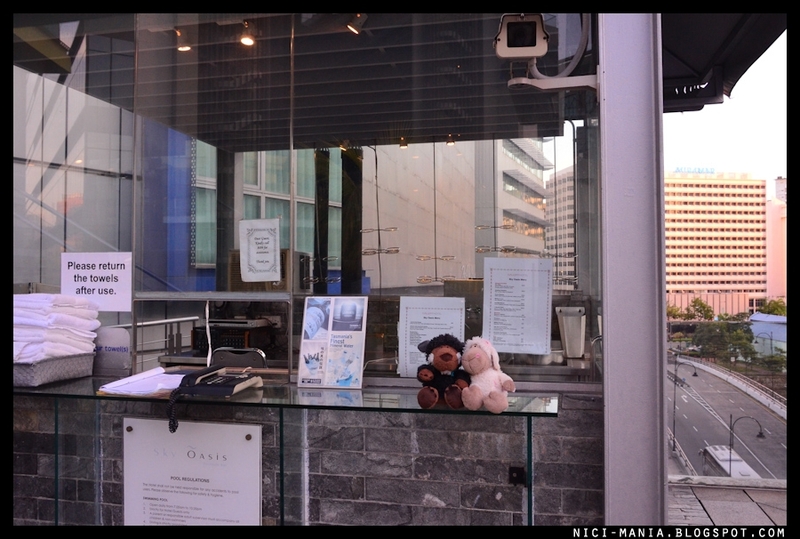 For the glazzhaus room offer, all the drinks in the mini bar are complimentary of Gallery Hotel. 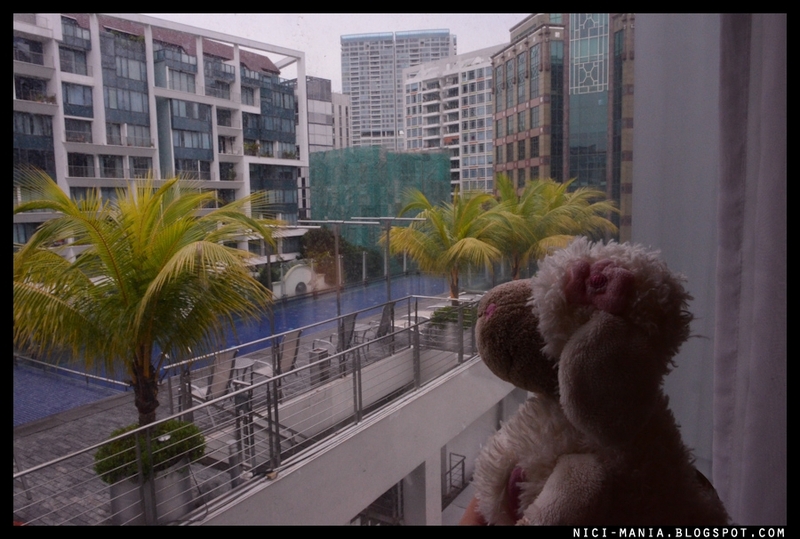 Right out of our hotel room window, the Gallery hotel swimming pool awaits! 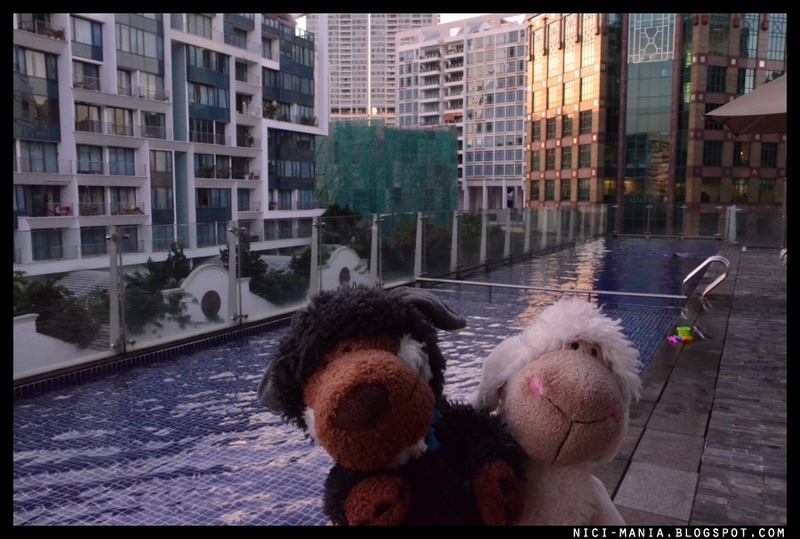 The Gallery hotel swimming pool is kind of 'detached' from the hotel rooms, you have to walk down and across to get to the pool. 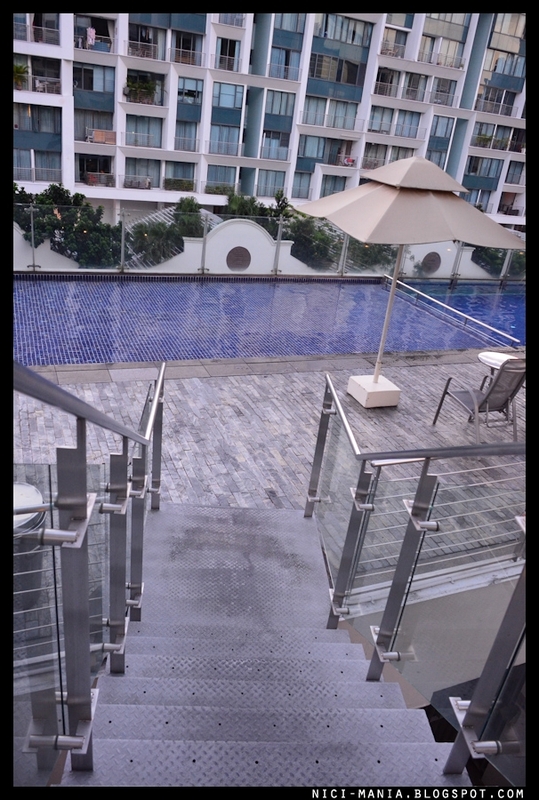 There is something unique about the swimming pool at Gallery Hotel..
View of the Gallery hotel swimming pool from downstairs. 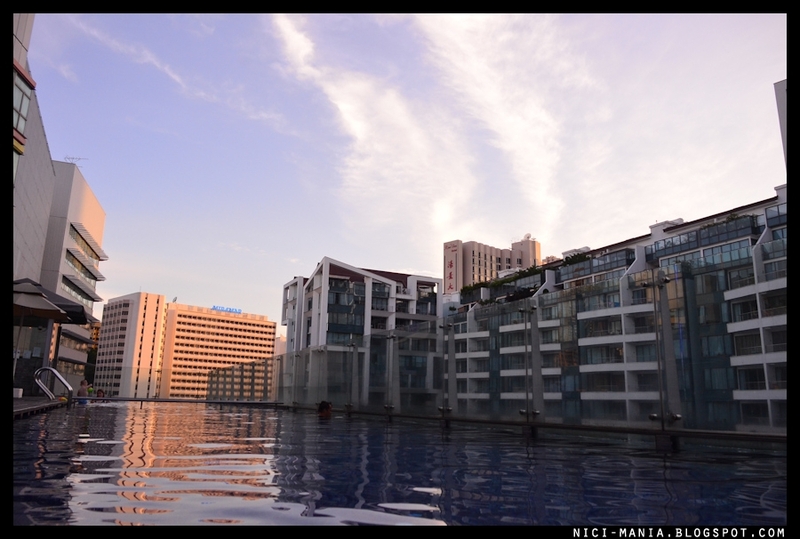 Look at that protruding mass of water in the transparent glass. 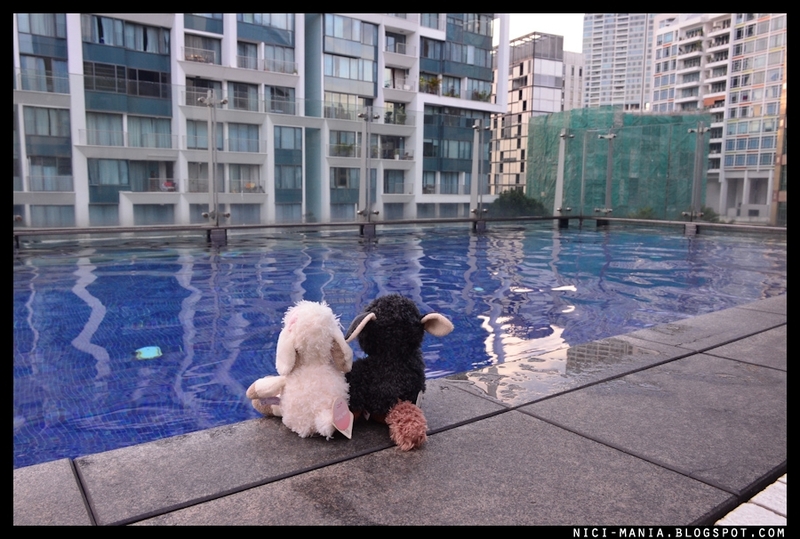 Let's explore other parts of the swimming pool. 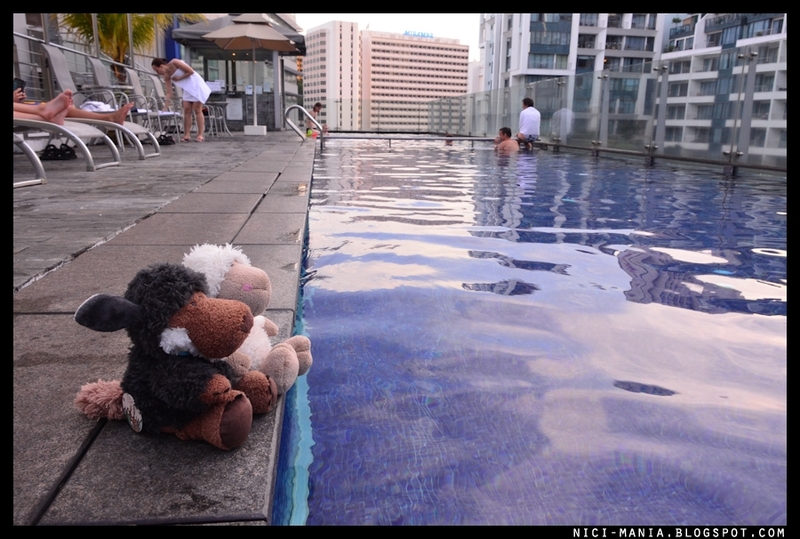 The swimming pool counter, though its always empty. Self service! 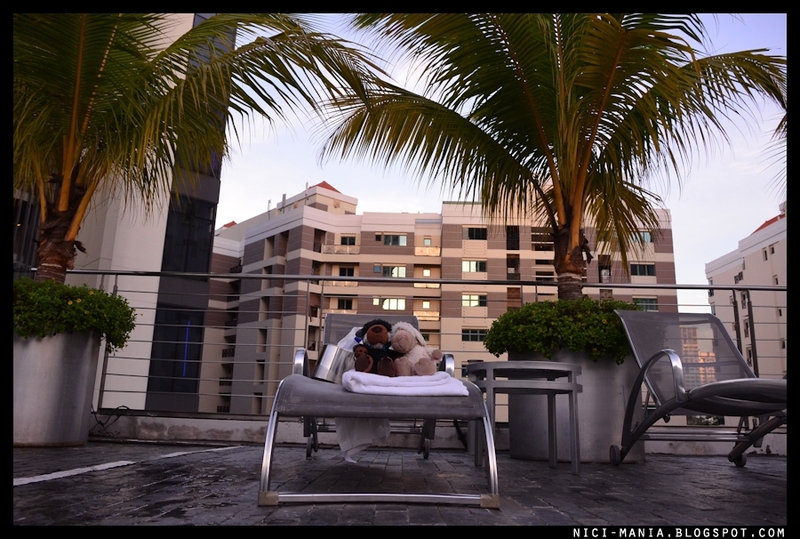 You get the nice view of the whole Gallery Hotel building from the pool..
or Miramar Hotel on the opposite.. 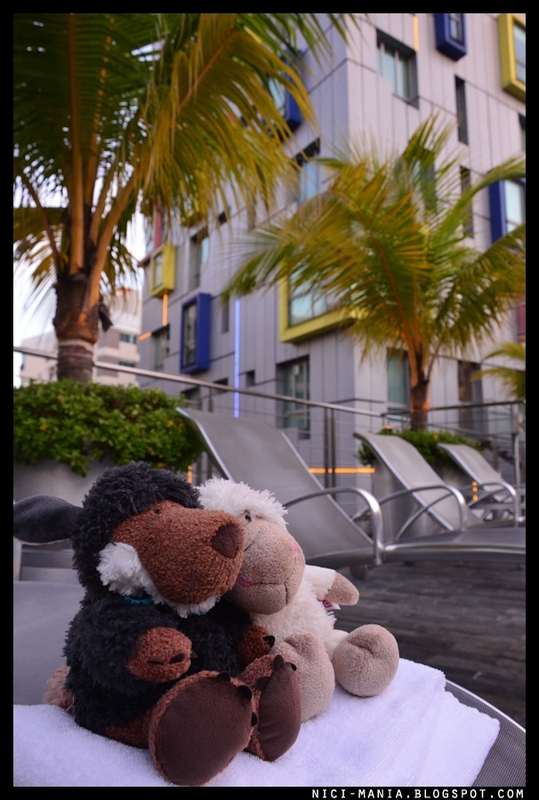 Studio M Hotel beside Gallery Hotel. Gallery Hotel is not crowded most of the time. 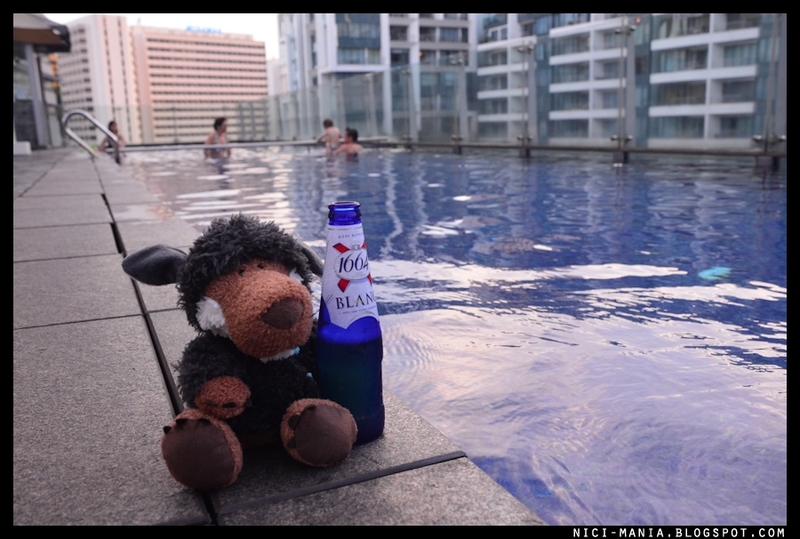 Not a lot of hotel guest, like this evening, we were the only ones left at the swimming pool after a while. Hugo & Rosa having a nice time enjoying the privacy. 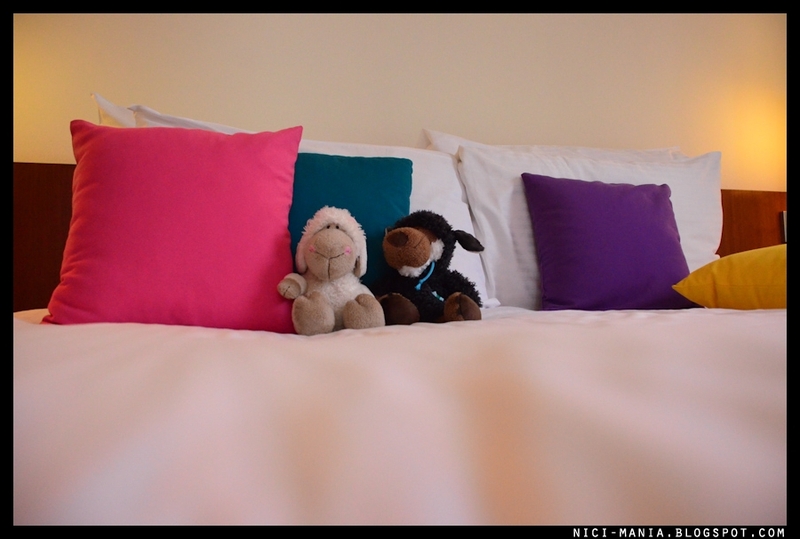 After a day of fun at the pool, the tired sheep and wolf knocked themselves out on the bed. 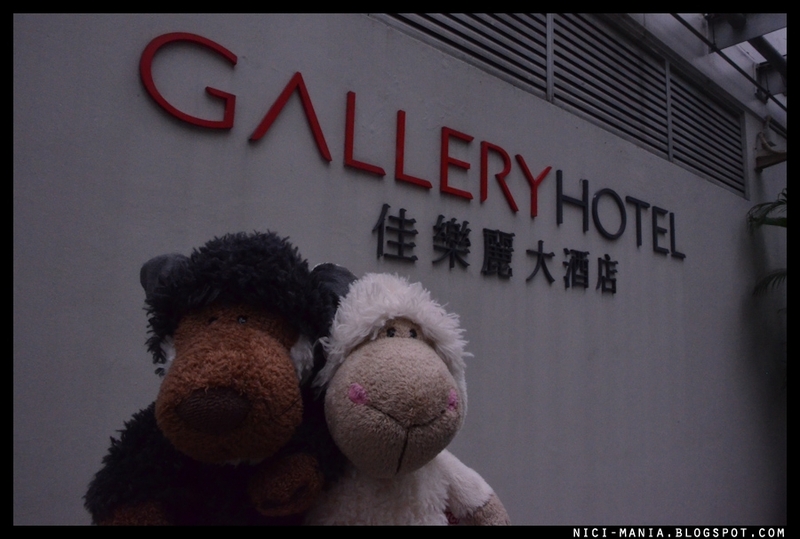 We had a great stay at Gallery Hotel. 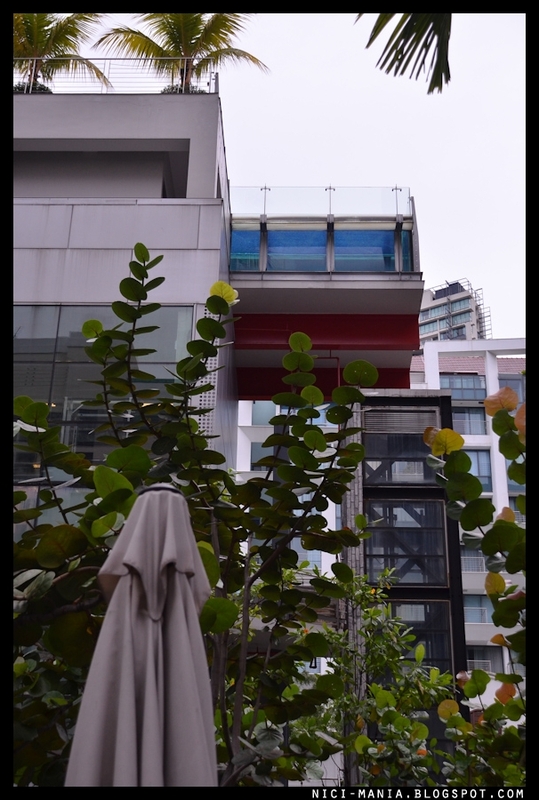 Located at Robertson Quay, there are a great deal of restaurants, bar and happening places around. The rooms are comfy, the location is good, there's a nice pool, great privacy and all of these comes in an affordable price package. 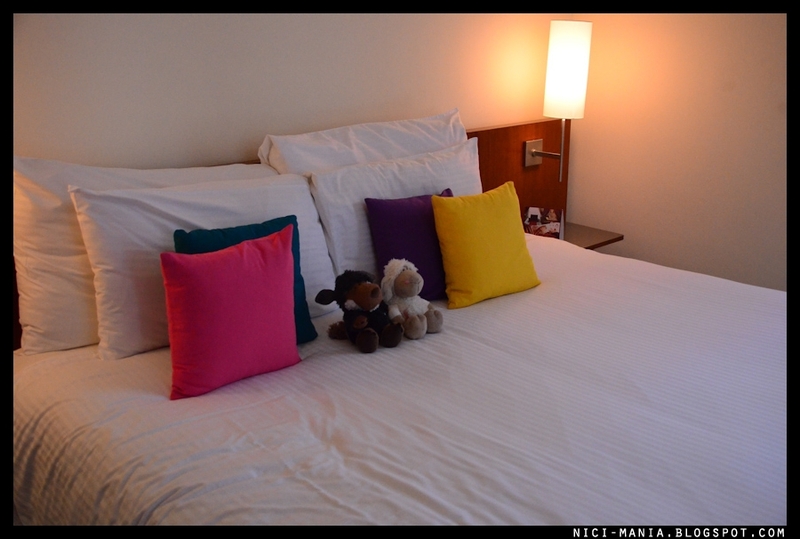 Gallery hotel is highly recommended if you ever come to Singapore looking for the best budget hotel at a good location.